While there’s no exact figure, an estimated 30 million presentations are being done worldwide with another 500 million users behind them. With or without these estimates, it can’t be denied that a considerable number of people still use PowerPoint as their default presentation aid, either for reporting or selling their products. Get a FREE Design Quote Today! While other applications such as Keynote and Prezi are already available, PowerPoint will still be around as everyone’s default business presentation application. Like any tool, PowerPoint presentations can be effective if used properly. 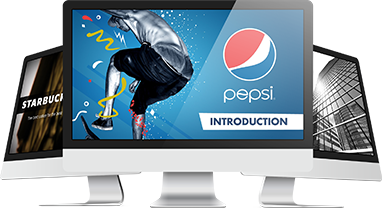 Done right, the words and images in your slides can involve and engage your audience the way a print ad can. This makes the selling process interactive, especially if you take renowned author Jim Aitchison’s advertising advice and make use of specific and descriptive words, letting your clients form pictures in their minds. These are powerful tools that you can use to get your point across, especially if you appeal to shared beliefs. Whether you’re advocating a new idea or persuading clients to buy into your proposal, print ads and a properly designed slide both show an effective call to action. Taking time to learn the ropes and design your PowerPoint to complement your pitch is rewarding in itself. But for those running short on time but want similarly effective, or further enhanced output, contacting a professional PowerPoint design specialist can reap endless benefits. The trick is to keep your visual design simple enough to work with your text (if any). As with the pages on a print ad, every slide you make is a chance to make your company and your proposal look appealing. This is why whatever you put in that slide is a reflection of your brand’s image and credibility. With PowerPoint’s ability to link to music, videos, and even websites, you’re in control of what your audience wants to see. Choose the best way to depict your brand and make your viewers buy your pitch. The fact that PowerPoint has been around this long is a testament to its effectivity. Used properly, it can be your ticket to winning your next sales pitch. To be great, you need to be interesting. According to creativity mentor, Luke Sullivan, to be interesting, you need to have a great idea to show your target audience. This is a valuable lesson presenters can learn from the advertising agency behind the famous Volkswagen print ads. Enhance your deck to enhance your overall pitch, and gain the returns from this investment. Looking for FREE PowerPoint Templates? Enjoy Thousand’s of FREE PowerPoint Slides from SlideStore.com Sign Up Today! Aitchison, J. Cutting Edge Advertising: How to Create the World’s Best Print for Brands in the 21st Century. Singapore; New York: Prentice Hall, 2004. Sullivan, L. Hey, Whipple, Squeeze This! A Guide to Creating Great Ads. Hoboken, NJ – J. Wiley & Sons, 2008. “PowerPoint Usage and Market Share.” Infogr.am. Accessed August 6, 2015. “Using Common Values in PowerPoint Presentations.” SlideGenius, Inc. April 21, 2015. Accessed August 6, 2015. “You Need a PowerPoint Specialist: Here’s Three Reasons Why.” SlideGenius, Inc. May 19, 2015. Accessed August 6, 2015.